When you buy a property, the title or ownership will be transferred from the seller to you. If you are getting a loan, the mortgage or loan that you get to help you buy the house will also have to be registered. There are many other matters which will need attention. Name, address, telephone number, mobile phone number, email address. Marriage certificate/civil partnership certificate, if applicable. Evidence of PPS number and tax type. Whether the property is to be a principal residence/investment property. Name and contact details of seller. Name and contact details of seller’s solicitor. Name and contact details of auctioneer/estate agent. Amount of any booking deposit paid to the auctioneer/estate agent. Details of contents included in purchase / value of contents. Proposed closing date for the purchase. The work to be done by the solicitor will vary depending on the type of property you are purchasing – a house or an apartment. It will also depend on the particular property. For the purchase of a house or apartment, the work might include the following. Obtain contracts from the seller’s solicitor. Carry out initial examination of title. Advise on the need for a survey of the property. 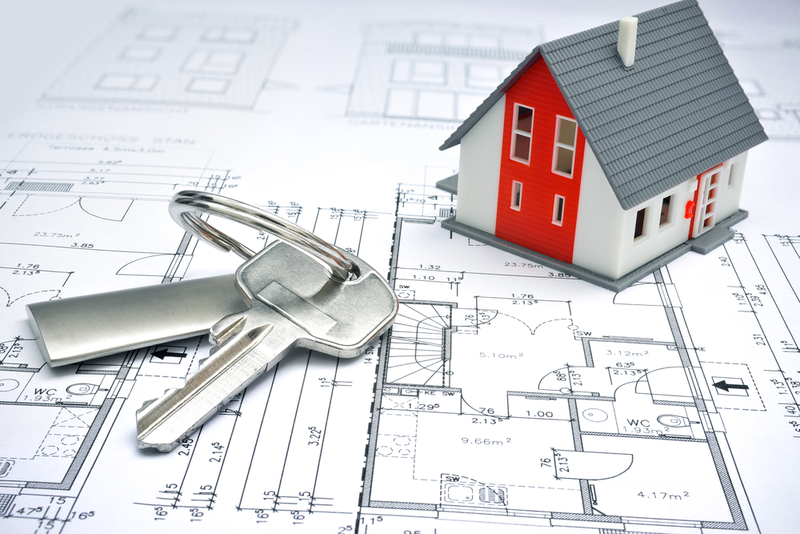 Give the purchaser a map to arrange to have it checked by an engineer or architect. Discuss with purchaser the division of price between the house and contents. Give advice to purchaser in relation to contract and title furnished. Check if there are extensions on the property. Arrange searches and investigation of planning permission and certificates of compliance (engineer/architect to inspect). Check if the planning covers any extensions. Check how seller’s mortgage will be cleared off. Check whether the net sale proceeds will exceed the amount outstanding on any seller’s loan affecting the property. If there is a management company managing some parts of the property, get the relevant information. Arrange for signing of acceptance of loan documents. Return acceptance documents to lender. Raise pre-contract inquiries with seller’s solicitor and consider responses. Arrange for purchaser to sign contracts. Obtain 10% deposit from purchaser (less booking deposit paid to auctioneer). Send contracts to seller’s solicitor with the deposit. Prepare the documents which will be needed to complete the sale, including the deed of transfer/conveyance. Send the draft closing documents to the seller’s solicitor for approval. Complete and arrange the signing of the mortgage documents by the purchaser. Complete the family home declarations, confirming marital/civil partnership/cohabitee/single status and arrange for purchaser to swear to the contents. Give a professional promise or undertaking to the lender, usually to send them the deeds, when they have been stamped and registered, and to certify the title as a good title, in due course. Request the loan cheque from the lender, so that it is available for the closing date. Request and receive from the purchaser any balance purchase monies needed, in addition to the loan, together with the solicitor’s costs, stamp duty and registration fees. Receive loan cheque from the lender. Get proof of payment of property and household taxes. Conduct closing searches in the various State registries to ensure the title is still clear on the date of closing. Advise the purchaser to do a final inspection of the property before the closing appointment to check the premises and its contents and to ensure the property is vacant. Set up the arrangement for clearing off the seller’s mortgage. Exchange the purchase money for title deeds and keys. Advise the purchaser to insure the property immediately, if this is not being done by the lender. Arrange for the purchaser to sign the deed transferring the property to him/her. File a stamp duty return online and pay the stamp duty to the Revenue Commissioners within 44 days of the first signing of the deed. If the amount of stamp duty to be paid must be ruled on by the Revenue Commissioners, file the return and pay the stamp duty within the relevant timescales. Print off certificate of stamping when received. Advise purchaser that stamping has been completed. Lodge certificate of stamping, deed and other documents in the Land Registry or Registry of Deeds for registration. Answer any Land Registry queries arising. Follow-up any professional promises or undertakings made by the seller’s solicitor to send on any final documents that were not available on the day of the closing. When the registration is completed, obtain a copy Land Registry folio showing the purchaser’s ownership (Land Registry) or the deed of conveyance or other deed showing the purchaser’s registration (Registry of Deeds). Advise purchaser of completion of registration. Certify the title and send certificate of title with the original title deeds to the lender, if there is a professional promise or undertaking to do so. Obtain written confirmation of receipt of title deeds and certificate of title from the lender, together with a release of any professional promise or undertaking given. Advise purchaser that deeds are with the lender and that the undertaking or professional promise has been released by them. Reconcile any amounts remaining in the client account and finalise with the purchaser. Diary forward for file destruction.For further advice in relation to this or any property law matter please contact Ciara Doyle or Aoife Pettitt at Ciara Doyle + Company Solicitors who will provide you with all the legal advice you need to purchase a property. Proposed changes to the Organisation of Working Time Act, contained in the new Workplace Relations Bill, will have financial implications for employers. The Bill is at Committee Stage in the Seanad at present. Until 2009, it was clear that under section 19 of the Organisation of Working Time Act 1997 (‘the 1997 Act’) employees could not accrue annual leave during periods of sick leave, as the wording refers to annual leave having accrued for time worked only. 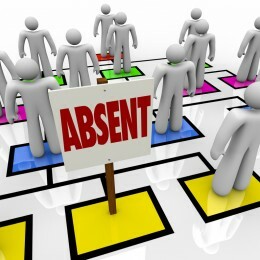 However, in 2009, the CJEU (Court of Justice of the European Union) held in the joint case of Stringer and Schultz-Hoff (Stringer v Revenue and Customs Commissioners and Schultz-Hoff v Deutsche Rentenversicherung Bund) that employees who were unable to take annual leave due to being on sick leave, were entitled to take the annual leave at a later date, after the sick leave had ended. The CJEU later clarified that provisions of national law may limit the accumulation of leave (KHS AG v Winfried Schulte). In much the same way as under the 1997 Act, employees in Ireland are only permitted to carry over 5 days of statutory annual leave for a period of six months into the new leave year. Since 2009, most decisions arising out of claims for this leave have been reported from the Labour Court, which has bound public sector employers (as emanations of the State) to the EU decisions by virtue of Direct Effect. It has confirmed on many occasions that, in respect of private employers, it is bound by local law (ie the 1997 Act) until that is amended. Private employers have not been required to comply with these decisions. 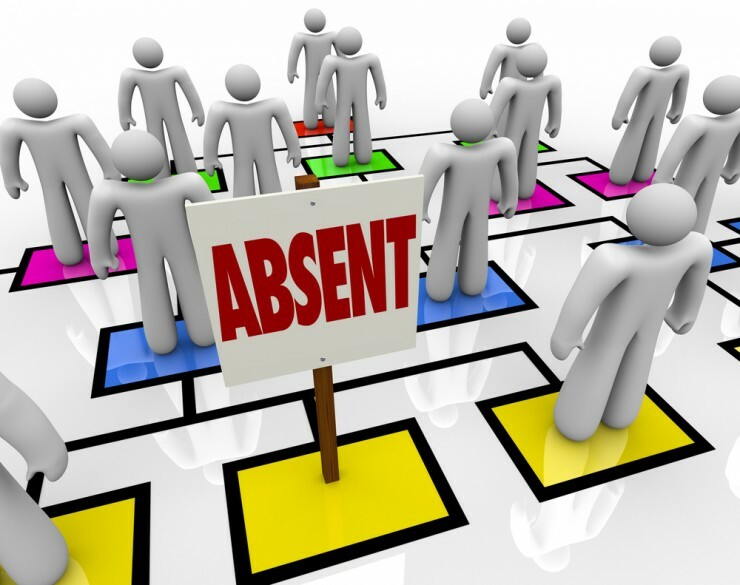 However, the Workplace Relations Bill 2014 includes a provision which will amend section 19 of the 1997 Act, with the effect that where an employee has been absent from work by reason of certified illness, he/she shall be deemed to have been at the place of work, and performing the duties of his/her employment. This leave will accrue during the leave year, or within six months of the leave year, or, where the employee was unable to take any annual leave in that leave year due to illness, within a 15-month period from the end of that leave year. This change (if signed into law) will have a significant cost impact for employers, particularly SMEs, who may have employees returning from long term sick-leave who will have accrued paid annual leave. Considering which is the best option for you, means being prepared for what you wish to happen in the event of the death of either partner, or the breakup of your relationship. This means the whole property is owned by two people with the intention that, when one dies, the other person will automatically own all of the property. In situations where one person has paid for the property, the other person may not get 50% of the proceeds if the house is sold. In situations such as this, you need to seek legal advice. This means the property is owned in defined shares by two people. For example, 50/50, 75/25 etc. Each person can leave their share of the property to whomever they wish. For example they may leave their share to their partner, but they must make a will stating this fact. If no will is made, the share becomes part of the estate of the deceased partner and the other partner does not have any automatic right to the share. Instead, the family (or even a separated spouse or civil partner) of the deceased person can claim this share. The Family Home Protection Act 1976 gives a spouse the right to veto any sale or lease of the family home by the other spouse. In order to sell or lease the family home, the written consent of both spouses must first be obtained. Under Part 4 of the Civil Partnership and Certain Rights and Obligations of Cohabitants Act 2010 similar provisions apply to the shared home of a couple in a civil partnership. These provisions do not apply to cohabiting couples. If you are living with your partner in his/her house, there is no need for your partner to obtain your written consent before he or she can sell or lease the house. The question of whether or not you may be allocated local authority housing is generally based on your need for housing and whether you could afford to pay for your own accommodation. Cohabiting couples may apply to be allocated local authority housing. Usually when married couples are allocated local authority accommodation, the lease is in both their names as joint-tenants. This means that if one spouse dies or leaves, the remaining spouse can take over the lease. It is also possible for cohabiting couples to apply for the allocation of a house to be held in joint-tenancy. If you move in to a local authority house where your partner is already the sole tenant, you may apply for joint tenancy after two years. Under the Equal Status Act 2000 and the Equality Act 2004, a landlord cannot refuse to rent accommodation to you because of your civil status. He or she also cannot discriminate against you in relation to any of the services or amenities relating to the accommodation or end your lease simply because you are not married or in a civil partnership. Cohabiting couples are entitled to buy private houses and lending institutions will not refuse to give you a mortgage simply because you are cohabiting. The main concern of lending institutions is your ability to repay the loan. For further advice in relation to this or any property law matter please contact Ciara Doyle or Aoife Pettitt at Ciara Doyle + Company Solicitors who will provide you with legal advice on the best option for you and can assist you in drafting an appropriate Cohabitants Agreement.